Parking on the east side of North La Jolla Scenic Drive has been limited in certain places to two hours on weekdays from 8 a.m. to 5 p.m. after local La Jolla officials approved the restrictions over the summer to prevent UC San Diego students from parking along the street for the duration of the school day. Along with the dirt lot at Torrey Pines Gliderport and the street parking on Villa La Jolla Drive, North La Jolla Scenic Drive is one of the few locations within walking distance of campus where students have been able to park for free. First approved by the La Jolla Traffic and Transportation Board on June 20 and then unanimously ratified by the La Jolla Community Planning Association on July 5, the restricted section of North La Jolla Scenic Drive spans between Scenic Place and Sugarman Drive. 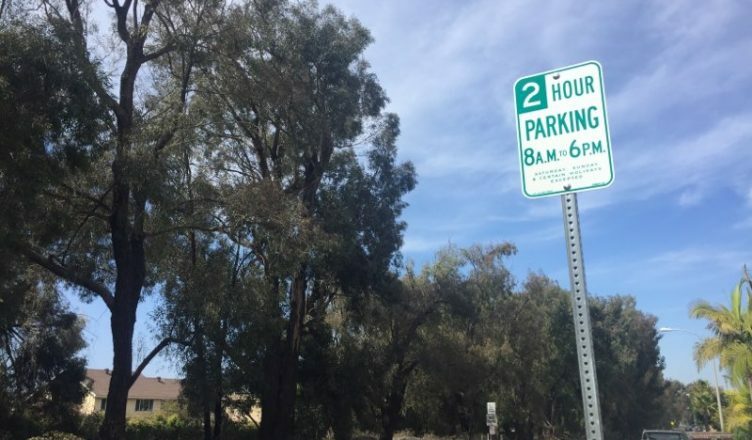 The decision was then passed on for implementation to the City of San Diego, which did not respond to requests for information on when the new two-hour limit took effect. According to a summary of the June LJT&T meeting by the La Jolla Light, the measure was put forth by local resident Carol Hernstad, who cited “[UCSD] students parking along the street all day and speeding along it to get to and from the spaces” as justification for the parking change. LJT&T Board Chairperson Dave Abrams confirmed that the reason for LJT&T’s approval of the two-hour restriction was to prevent students from leaving their cars on the street the entire time they are on campus. Much of the street parking that is not directly in front of private residents is still unrestricted, however, with the east-side space between Sugarman Drive and La Jolla Village Drive and certain portions of the west side of La Jolla Scenic Drive still open for all-day parking. Speaking on behalf of A.S. Council, off-campus Senator Kelly Morris objected to the new parking measures and noted that such laws will likely not be effective. Morris also added that students are not solely responsible for the congestion along La Jolla Scenic Drive. Parking on campus also became more restricted over the summer as the construction of the Torrey Pines Living and Learning Neighborhood and other new additions to the campus forced certain lots to close.